Is your living room a disaster area. Organize your old video games with this. 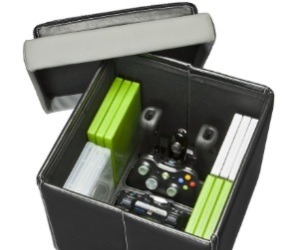 Store your unused video games and controllers in this ottoman. And then prop your feet up on it while you’re playing. Win-win. Getting an IT Helpdesk running on the cheap..